Ahead of the rumored arrival of a refreshed iPad Pro lineup later this year, five new models have been certified by the Eurasian Economic Commission, suggesting an announcement could take place in the coming months, possibly in September alongside the updated iPhone lineup. Now, the model numbers that have been registered are A1876, A1935, A1979, A2013, and A2014, with all of them currently running iOS 11. It’s presently unclear which exact iPad models these relate to, although the latter two numbers likely make reference to the new iPad Pro 12.9-inch offering which is set come in both Wi-Fi and 4G LTE variants. Furthermore, although unconfirmed, the A1935 and A1979 codes could be the two variants of the updated 10.5-inch iPad Pro that are also expected to make an official appearance later on in the year. In regards to the remaining A1876 model number, there is yet to be any indication of what tablet this may relate to. 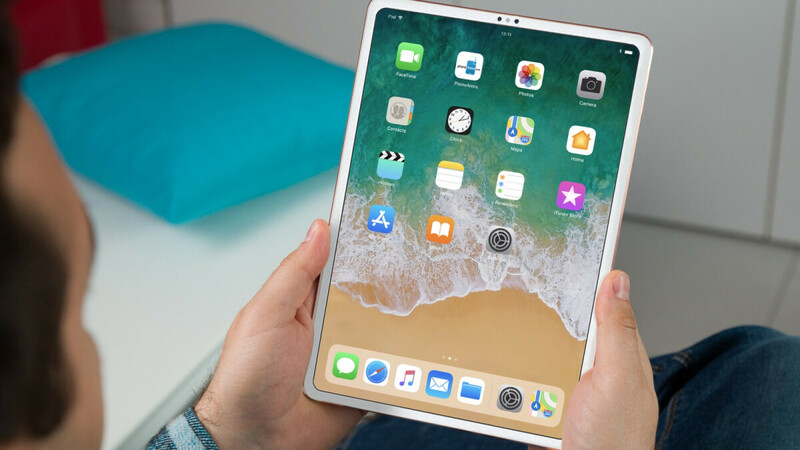 However, considering the iPad Mini hasn’t seen a refresh since 2015, Apple may finally be preparing a fifth-generation of the tablet that will be sold alongside the two new iPad Pro models. After all, it’s also too early for a refresh of the regular iPad due to the fact that the most recent offering made its first appearance back in March. At this point in time, the possibility of a new iPad Mini is simply speculation but, if true, it’ll remain to be seen if Apple chooses to equip it with Face ID. After all, the technology is expected to make its way to the new iPad Pro lineup which is also expected to boast reduced bezels. Interesting, I might be picking up the best tablet for drawing around this time. I've been thinking to try 12.9" one, but i'm just not sure if it's too big, i mostly use iPad at home so it propably would be great buy. Currently i use 10.5" pro and it's quite perfect device. For me the 10.5 seem a bit too big, however that's taking into account all of the devices footprint. If the new Bezeless iPad Pro 10.5 comes in the same footprint as the 9.7, man that would be the perfect big tablet for me! I have iPad Air and iPad Pro 10.5" and 10.5" model actually feels smaller in hand thanks to noticable thinner device. When you pick up 10.5" it feels so thin. Oh wow that's interesting. Yea current 10.5 models are still absolutely stunning. The laminated display, higher refresh rate, great speakers and the thinness are still top notch. I wonder what the pricing structure will be going forward. I think Apple will just replace the entire line, otherwise people would just buy an old Pro 10.5 instead of spending more on a new one! OMG IF there is a new iPad Mini I will cry my eyes out!!!!!!!! AHHHHHHH Man this looks like on hell of an awesome fall for Apple. It's been so long since they did anything interesting (apart from the X). Come on!!!!!!!!!!!!!! !